If you need investment there is not a larger investor pitch event in the United States. We spend all year helping our members grow and find investment and we want everyone to have our access to the best investors in the country. In addition to the later stage investors we also have an open opportunity for anyone to pitch for our Expert DOJO 50k fund from 12:30-3pm. 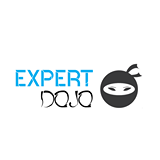 Apply to brian@expertdojo.com if you would like to pitch for this part of the event. There is no charge.